I accept that the Constitution affirms an individual right to keep and bear arms, I believe that self-defense is a basic human right and I don’t think gun prohibition would work any better than alcohol prohibition did or drug prohibition does. But speaking for myself, I have no desire to own a firearm. I would be terrified at the possibility that, in a moment of panic, I might take a human life. I grew up in the 1940s and 1950s in Williamsport, Md., a small town on the Potomac River at the foothills of the Appalachians. Almost everyone in town owned a gun, mainly for hunting and sometimes for killing animal pests or target shooting. I have fond memories of my father, with newspaper spread out across the kitchen table, cleaning and oiling his deer rifle prior to hunting season. What I never heard back in those days was the need to own a gun to defend yourself against somebody else who owned a gun. A Gannett editor who worked in Las Vegas once told me that young men in Nevada like to take junk refrigerators and other appliances out into the desert, and blow them to pieces with high-powered firearms. That sounds like a lot of fun. I don’t have any quarrel with anybody who likes to do that. 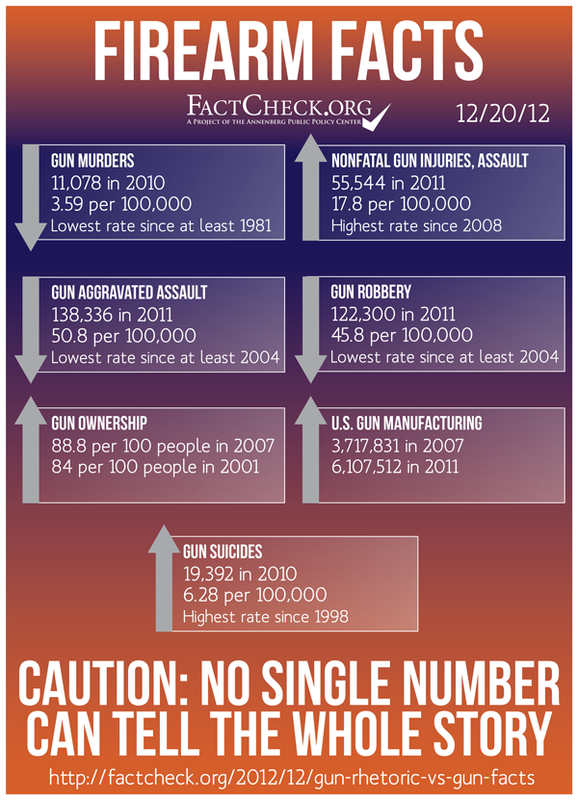 I’ve met owners of convenience stores in high-crime neighborhoods who think they need to own guns for self-protection. That is their decision and their right. But count me out. If I bought a gun for self-protection, I would have to make up my mind that I was in such grave personal danger that I would have to be willing to take a human life. It would be like being in the military. Then I would take firearms training in order to be sure I could handle a gun safely and responsibly, without a danger to myself or bystanders. That would not be a casual decision. If my life had taken a different course, I might have found myself in circumstances in which I thought differently. But such circumstances are not the norm. The vision of a society in which everyone carried a gun at all times, like the movie version of the Wild West, is an appealing fantasy to some people. To me, it is a nightmare. Robert A. Heinlein many years ago wrote a science fiction novel, Beyond This Horizon, set in a future in which every citizen carried a gun and duels were common. Heinlein thought this would result in a process of natural selection, in which survivors were either quick and accurate marksmen, or very, very polite. I don’t think this would be the reality. The idea of teachers in the classroom being armed is dreadful. Teachers would be like prison guards. If this idea were implemented, I would expect a rash of “stand your ground” shootings in the schools. Now there might be circumstances in which bringing armed police officers into the school is necessary, but it would be a necessary evil. When I was a boy, I read the Robert A. Heinlein books for boys — Space Cadet, Red Planet, Farmer in the Sky and all the rest — and then graduated to his Future History series — The Man Who Sold the Moon, The Green Hills of Earth and so on. They depicted the human race going to the Moon and the planets, and living among the ancient canals of Mars and the teeming jungles of Venus, and then figuring out how to get around the faster-than-light limit which kept us from the stars. It turned out that Mars and Venus aren’t like that, but I still was stirred by the thought of exploring and settling the Solar System. The moon landings took place in 1969, six years ahead of Heinlein’s schedule, but it turned out that it was just a stunt, and didn’t lead to Heinlein’s Luna City or anything else. With all the urgent problems that need to be solved on our home planet, I’m ready to give up on this boyhood fantasy. But Jeff Greason, who is shown in the TED video above, is not. He is one of an number of entrepreneurs who, like Heinlein’s fictional D.D. Harriman, think they can make space travel a paying proposition. I think the odds are against him, but I hope he succeeds, and I think it is just barely possible that he might. In any case, he and his competitors represent the free enterprise system as it ought to function. They aren’t trying to cheat anybody out of anything. They are striving to outdo each other on the basis of performance. If they succeed, everybody benefits. If they fail, nobody loses except themselves and maybe their creditors. Years ago, as I recall, Newt Gingrich had the idea that the federal government should finance the space program by offering prizes. Rather than having a government-operated program, the government could award cash to the first companies to each certain milestones. I forget exactly what they were—the first to keep human beings alive on the Moon for more than a week, the first to send a human in orbit around Mars, the first to send a human to step for on Mars, something like that. This is a concept that could have many applications. For example, the federal government could offer prizes to pharmaceutical companies for being the first to develop certain kinds of life-saving drugs for which the potential market is small. Then the government could take the rights to these drugs, and license them to be marketed at affordable prices. Hat tip to Virginia Postrel. The following is a shortened version of “The Pragmatics of Patriotism,” a lecture given by the science fiction writer Robert A. Heinlein to midshipmen at the U.S. Naval Academy on April 5, 1973. 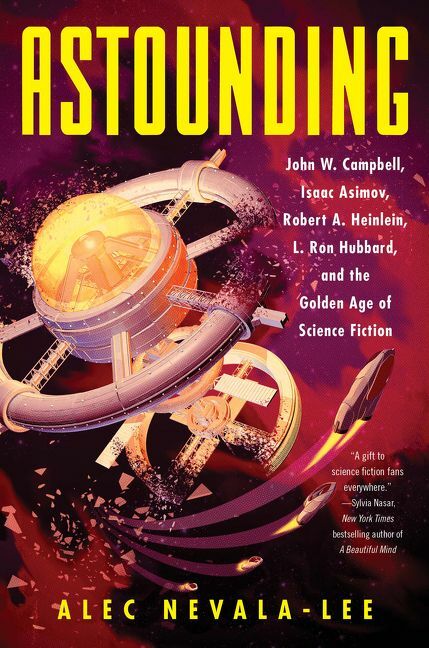 The complete lecture is given in Expanded Universe, an anthology of Heinlein’s works edited by Heinlein himself as an overview of his career and thoughts. Heinlein himself graduated from the Naval Academy in 1929, but he was discharged from the Navy in 1934 for medical reasons; he had pulmonary tuberculosis. After unsuccessful ventures in real estate sales and silver mining, he sold his first science fiction story in 1939, and soon became one of the most popular and influential science fiction writers. During World War Two, he worked in research and development at the Philadelphia Navy Yard. … … Why are you here? … You are here to become a naval officer. That’s why this Academy was founded. That is why all of you are here: to become naval officers. If that is NOT why YOU are here, you’ve made a bad mistake. But I speak to the overwhelming majority who understood the oath they took on becoming midshipmen and look forward to the day when they will renew that oath as commissioned officers. As one drives through the bushveldt of East Africa, it is easy to spot herds of baboons grazing upon the ground. But not by looking at the ground. Instead you look up and spot the lookout, an adult male posted on the limb of a tree where he has a clear view of all around him – which is why you can spot him; he has to be where he can see a leopard in time to give the alarm. On the ground, a leopard can catch a baboon – but if a baboon is warned in time to reach the trees, he can out-climb a leopard. But in the present decadent atmosphere patriots are often too shy to talk about it − as if it were something shameful or an irrational weakness. 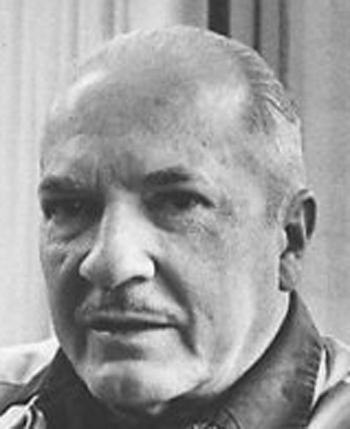 Robert A. Heinlein was perhaps the leading U.S. science fiction writer of the 1940s and 1950s and continued writing into the 1980s. He wrote books for boys that I loved as a teenager.